"While unearthing a picture-perfect formal dress is often a splendid experience, there's one hard cold truth every woman must face - if your tootsies aren't looking stylish, you might as well pack it up and go home. 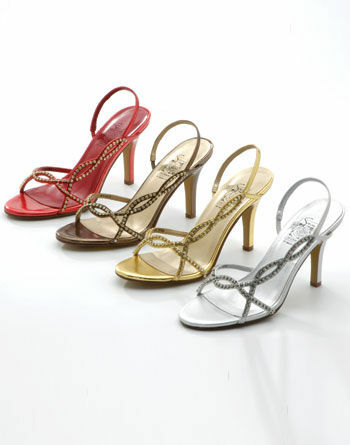 Still, finding the most fashionable footwear can be a challenge for many trend-conscious women. Sam Saboura, celebrity stylist and host of My Body, My Style, recently spoke with StyleList.com and gave them some inside shoe scoop. "A woman with a fuller foot or a fuller ankle is going to benefit from shoes that are pointier or have a V-style at the vamp of the shoe - the same way a V-neck minimizes a fuller bust and a fuller shoulder line," he told the news source. We think this is fantastic advice. And, ladies who want to appear even slimmer can pick out an ensemble entirely in black. Still, it looks like Saboura knows what he's talking about when it comes to looking and feeling fantastic. "At the end of the day you have to wear what you love and wear what you feel the best in," he told the news source."